« What Happens To Your Scrap Car When You Recycle It? Around the world, individuals and organisations – even governments – are hoarding stocks of gold for a rainy day, but are they doing the right thing? It’s not an entirely easy question to answer, but here are some of the main reasons why gold is typically seen as a good investment, and an honest assessment of whether they are good reasons or not. The main reason you will hear given for why you should invest in gold is that it is a ‘store of value’, but what does this mean? In principle, it means that at times when stock markets are crashing, gold generally does not – and because investors flock to it as the main alternative, it often actually climbs in value during economic turbulence. For example, between July 2007 and March 2009, gold rose in value from £325.75 per ounce to almost £666 per ounce – and you don’t need to be an economist to realise that’s just over a 100% increase in less than two years. But it’s not all upward progression, and gold hit a peak value of £1,178.92 per ounce on September 4th 2011. As of April 2014, it is at just less than £800 per ounce, which means anyone who bought in at the peak price has lost about a third of their money so far. 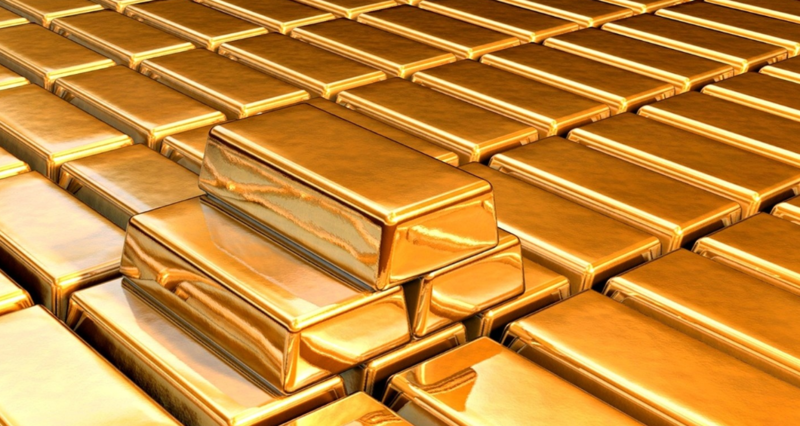 Gold is a precious metal with uses in everything from jewellery to high-spec electronics and even space exploration – so while we think of gold bars and coins as a kind of currency, it is not really tied to any one national economy. This means when you buy it, you effectively hedge your investment – if one economy collapses, another is likely to thrive at the same time, and gold will typically see steady demand overall. Its current value is still higher than in April 2010, and at that time the price was growing rapidly, indicating that the precious metal has weathered even the recent severe global economic meltdown better than many other investments. Finally, remember that gold doesn’t have to just come in ingots – it can be artistically worked into any number of designs. Gold coins, particularly rare ones like early Double Eagles, can be worth a large amount of money, and may be less likely to lose their value than gold as a commodity in general. Creating fine jewellery adds value too, but this added value will be lost if the gold is melted down as scrap for reuse – so the artistic merit is only held in the resale value of the completed piece of jewellery. If you can find gold in its most valuable forms at a good price, or buy it as a commodity at a low spot price, then you may find it to be among the best long-term investments you can make. This article was posted in Scrap Metal, Selling Gold. Bookmark the permalink. Follow comments with the RSS feed for this post.Both comments and trackbacks are closed.